Every time an opportunity comes up to dress as a character I brainstorm for ages but I actually rarely get to dress up as anything exciting. Here are some costume ideas for brown and black girls to use for Halloween or other costume events. Please take a moment to check out this video from Nabela Noor. 1:40-1:56 is my favourite part, I honestly laughed so hard. I love Nabela’s acting. All of the pictures and gifs used in this post are sourced from the first page of Google Images of typing the character’s name. This is one of the most entertaining animated films out there. They don’t make them like this these days. It was one of those movies my brothers and I wouldn’t watch for ages but then when we did re-watch it we were like “YAAAASS forgot how damn good this was! !” Cheeky Chel was so funny and flirty. The clever girl got Tulio and Miguel through their ordeal in the City of Gold. I love Chel’s outfit. A cute pink and cream bandeau and knotted cream coloured skirt with slits, paired with some large pale blue earrings and bangles or gold earrings and you’re set! I’d love to dress up as Chel but honestly my mother would have a heart attack if I was out in public dressed that haram. Such a shame considering I look bangin’ with blunt bangs! 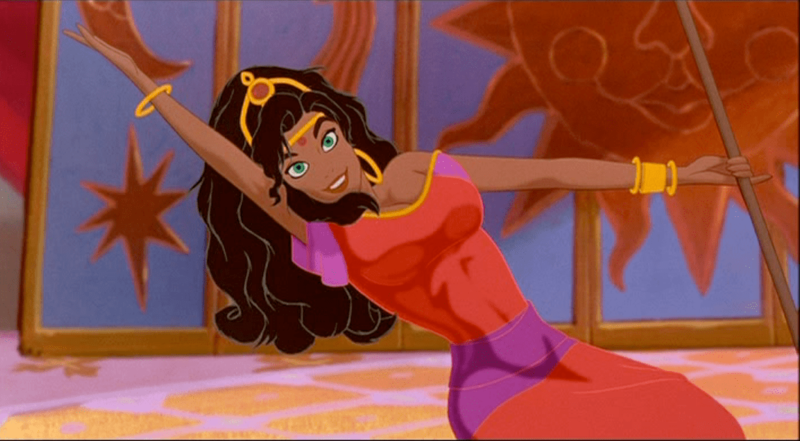 Esmeralda is such a stunning character. She is strong-willed and generous with a good heart. Find a cream or white coloured off shoulder top, a purple maxi skirt and a few accessories and you’ll be look notre-dammmmnnnn-fine. Often people gravitate towards Jasmine as their go-to brown girl character from Disney, but Esmeralda is one foxy babe and worth considering! In fact you could probably wear the pieces from Esmeralda’s outfit repeatedly throughout the seasons. Nyota Uhura is one of my favourite Star Trek characters! I would get so excited whenever she appeared on screen when I eventually began watching the show. 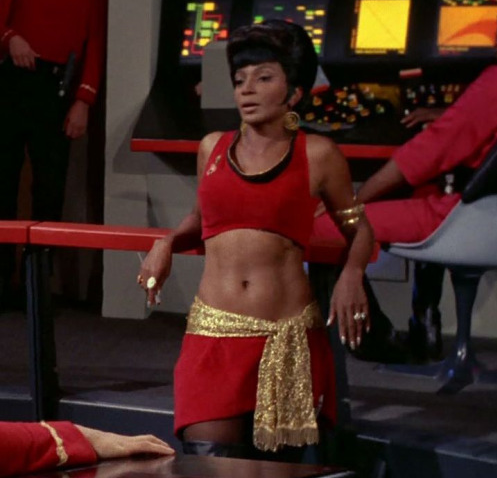 There is the Nichelle Nicholls version to dress up as and more recently the Zoe Saldana version from the film. A simple red dress with some yellow and black accessories will nail your look. Fun fact: after the show was cancelled Nichols went on to work with NASA to help minorities and females get recruited, with another company she helped run called ‘Women in Motion’ and one of their recruits Dr Sally Ride was the first female astronaut in America. 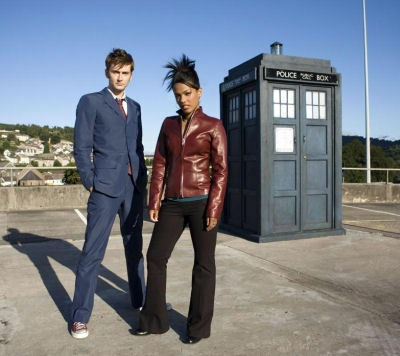 Once again there are many outfit options here, as the outfits change from episode to episode. Bright yellows and pinks are key here, as well as bold shoes and accessories like headbands, belts and cute bags. Mindy is a hilarious character. She has a lot of self-love and she tries to support her friends. I think the first couple of seasons of this show are way better than the later seasons, but it is always going to have a special place in my heart. Go and channel your inner Beyonce Pad Thai at your next costumed event! I hope all you brown girls enjoyed that if you needed some more ideas. Drop a comment below if you’d like to see a food version of a costume idea list (even though Halloween 2017 is tomorrow).